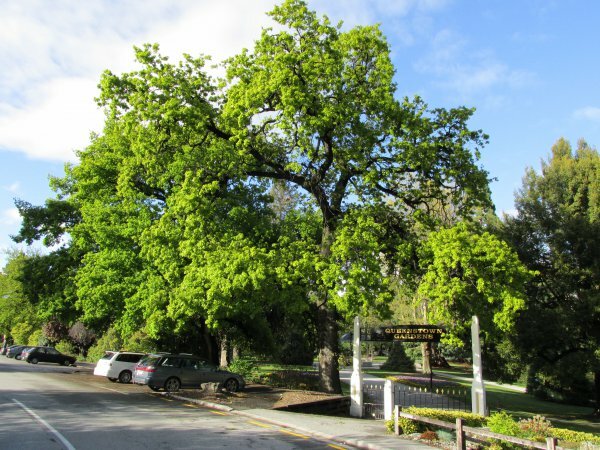 'The Mayor, J W Robertson and a nurseryman, Mr McConochie, planted the first trees, two English oaks, in the winter of 1867. These were planted near the Park Street entrance to commemorate the incorporation of the Borough, and one of them is still growing as a mature specimen today'. 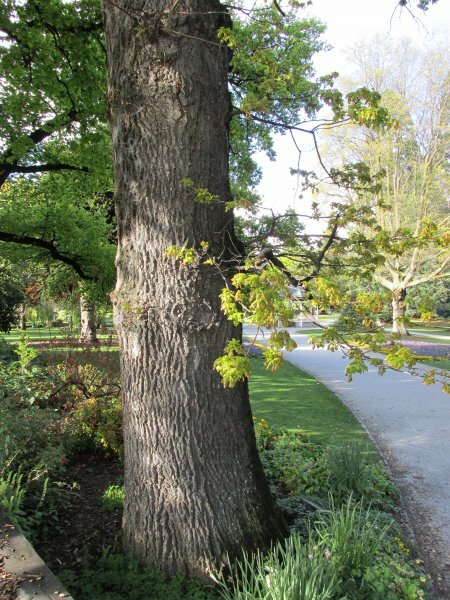 There is a second oak that appears to be of similar vintage nearby (Cadwallader, 2014). Broad spreading, some limbs are developing end-weight.